I’m a big fan of these Angry Robot omnibus volumes. Talk about reading feasts… I can settle into my big green chair with a bag of chips and one of these babies, and I’m set until August. They’re surprisingly diverse, too. 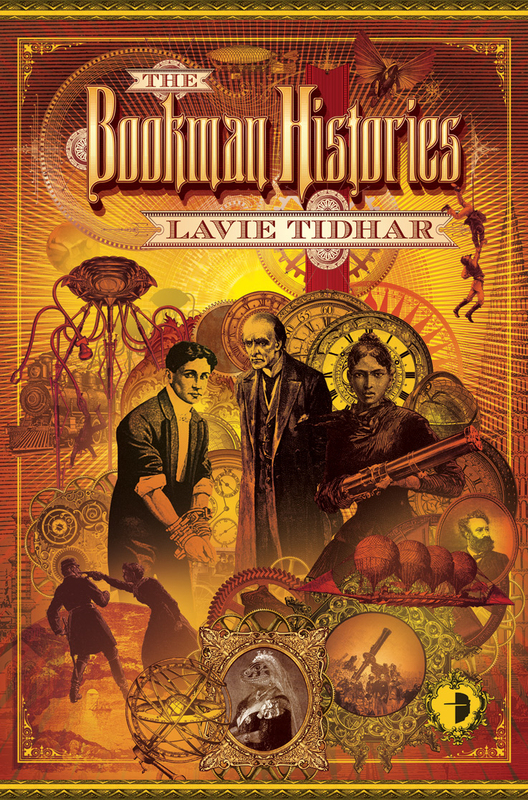 There’s Tim Waggoner’s zombie detective saga The Nekropolis Archives, Aliette de Bodard’s Aztec mystery series Obsidian & Blood, Andy Remic’s blood-drenched sword-and-steampunk epic The Clockwork Vampire… and now we have Lavie Tidhar’s steampunk serial-killer trilogy The Bookman Histories to add to the list. Camera Obscura (2011) introduced us to the mysterious and glamorous Lady De Winter, agent of the Quiet Council. Tasked with solving a locked-room murder on Rue Morgue in Paris, De Winter soon finds herself drawn into a far more sinister mystery. The series wraps up with The Great Game (2012), which begins with Mycroft Holmes’ murder in London. 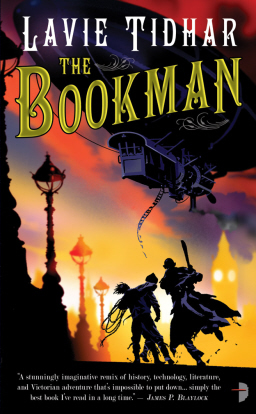 It falls to Holmes’ protégé Lucy Westerna to solve the case — but before she does she crosses paths with a young Harry Houdini and a retired shadow executive named Smith (team up!). Together they find the trail leads inexorably to a foreboding castle in Transylvania… and to get there they’re need to cope with with airship battles, Frankenstein monsters, alien tripods, and more. The Bookman Histories contains all three novels in one fat 1,022-page package. It was published by Angry Robot in December, 2012; the paperback is $15.99, and the digital version is $9.99. 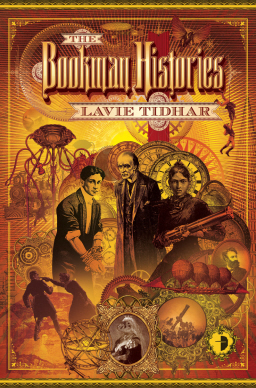 Lavie Tidhar won the 2013 World Fantasy Award for Best Novel for Osama; this is a guy who is clearly going places. Ignore him at your peril. And at Amazon, the paperback is $12.22 and the Kindle version is only 6.29. For a 1,022 page book, that’s a steal! Indeed! This is a monster book, and no mistake.